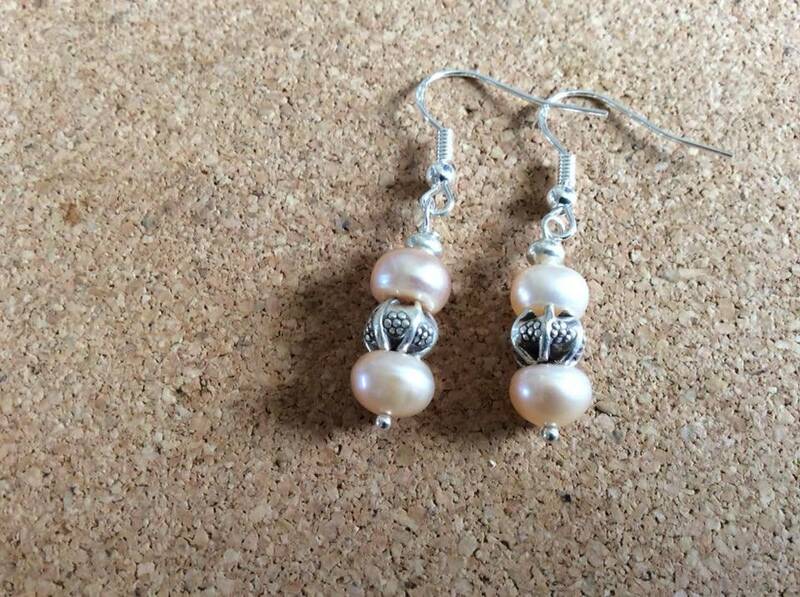 These earrings have stunning shiny peach pearls and small hand printed flower beads made by the Thai Karen Hill Tribes. 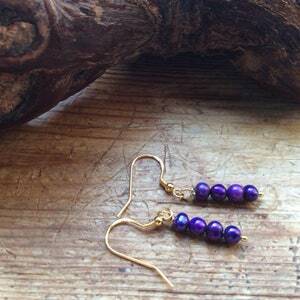 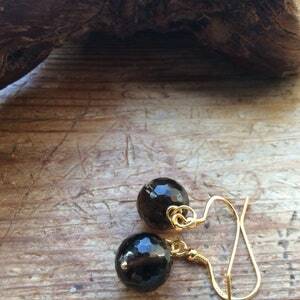 Amethyst earrings. 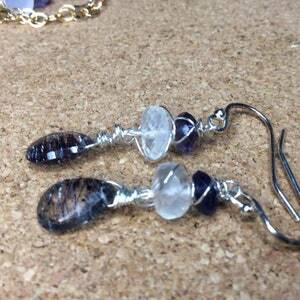 Tourmalated Amethyst moonstone iolite silver earrings. 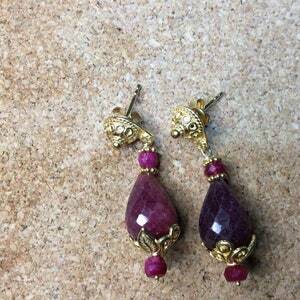 Rare Moss Amethyst.